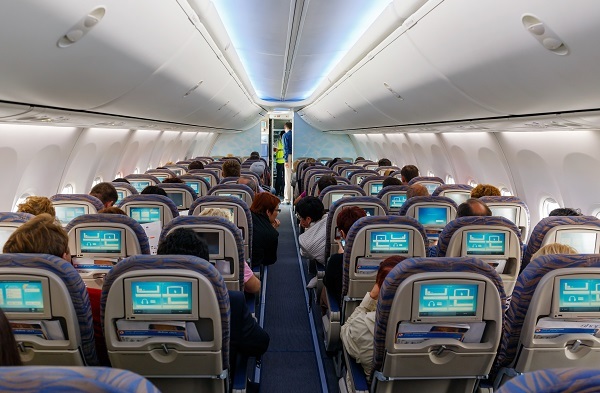 Airplanes are a hotbed for air born viruses, as the air is constantly circulated and recycled around the plane, meaning that bacteria from one traveller’s sneeze could be breathed in by several other passengers. This realisation may be enough to make any germ-phobe give up flying forever, however Raymond Wang, aged 17 and from Vancouver, claims to have invented a solution. The teenager has created a new fan system, which will change the way air flows inside a plane. When he examined the current systems, he discovered that air will be shared between passengers three times before it is filtered – explaining why bugs spread so easily during flights. Wang’s miniature fans, called Global Inlet Directors, keep air in a restricted space and then filter, meaning that each passenger has their own ‘clean air zone’. Not only will this system prevent the spread of common cold and flu bugs, but could also prevent more serious illnesses such as SARS and Bird Flu from spreading to everyone on the plane. According to Wang, his devices could be installed in planes for around £700, and they will increase ‘fresh air’ inhalation by nearly 200%! Unfortunately, the teenager is still in the early stages of marketing his inventions, but it is hoped that airlines will take the spread of holiday illnesses seriously enough to think about their ventilation systems again. Visit Holidaysafe.co.uk for more information and a free travel insurance quotation.